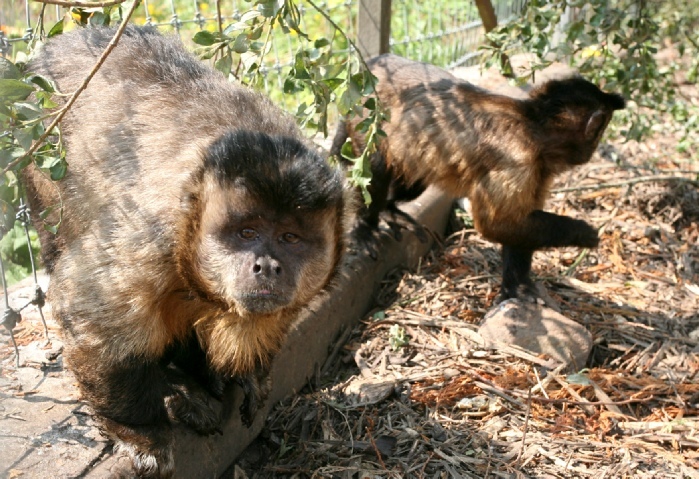 Capuchins.. are often referred to as "Barrel Organ Monkeys" and are very intelligent social animals indigenous to South America. As their nickname suggests they have been "domesticated" and used for generations by street merchants, beggars and buskers to attract public attention. They quickly learn to perform quite complex tasks and to interact with humans. 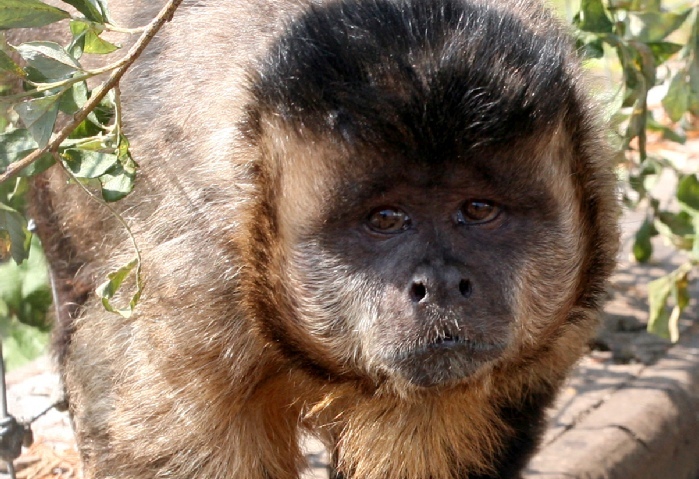 Capuchins are the most intelligent of the New World Monkeys. They can be taught the concept of money and trade and have appeared in functional roles in numerous films. They can also be taught to assist disabled people by washing their faces, microwaving food, cleaning and answering the door and doing other simple jobs around the home. Their nick name of Barrel Organ Monkeys comes from their long association with fair grounds, street entertainers and beggars. In the wild their main threats are from Humans, Eagles, Jaguars, Cougars, Snakes, Crocodiles, Coyotes, Jaguarundis, Tayras and habitat loss. Speciation is still controversial but four species are widely recognised I.e. White Fronted, White Faced, Brown Tufted, and Wedge Capped. Named variants which fall into one of these four species categories are listed below. Their natural habitat is rain forest, mangroves, and deciduous dry forest, where they will forage from ground level right up into the canopy. They are pretty well omnivorous. Their natural diet includes at least 95 types of fruit, leaves, berries, nuts, seeds, shoots, buds and gums, bark, insects, spiders, small vertebrates, birds, infant squirrels, baby coatimundis, lizards, eggs, crabs, oysters, and at least 24 species of flowers. 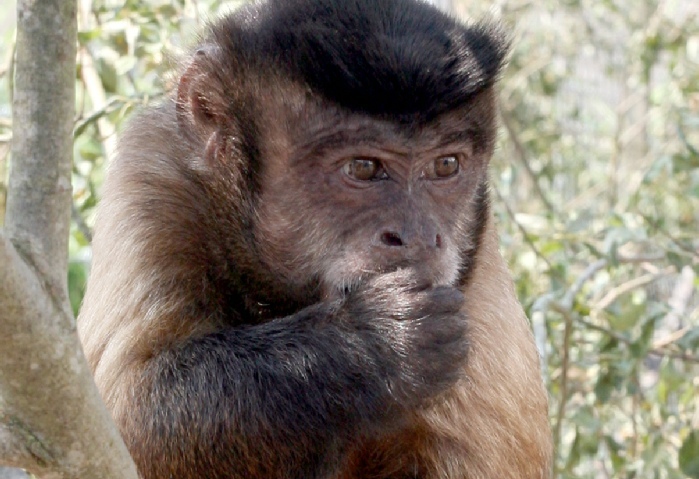 Capuchins are fascinating animals to watch as they are so active, inquisitive, bold, cheeky and obviously intelligent. Their expressions and human-like eyes make them particularly appealing to us. 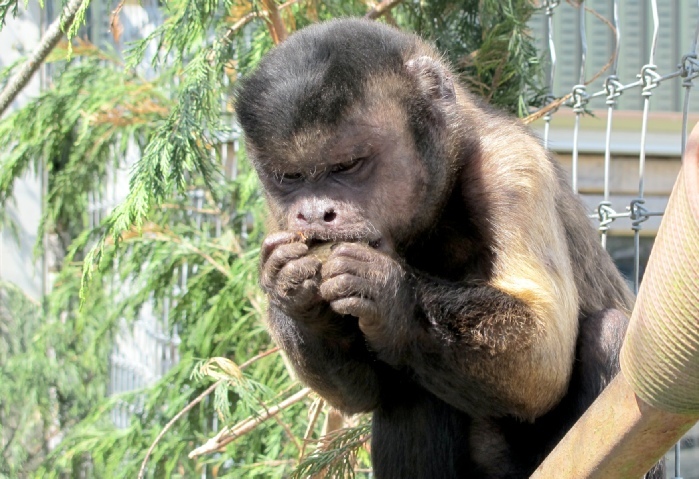 Capuchins are one of the most popular monkeys kept as pets, but without proper care and diet they suffer various health problems and unfortunately they are one of the most abused. Click here to read about Connie and her friends at the Sanctuary.